This involves using the seeds of a tropical tree, the Moringa oleifera in the water treatment process. The use of these seeds which are reduced to a powder beforehand makes it possible to substantially reduce the microorganism content in the treated water. 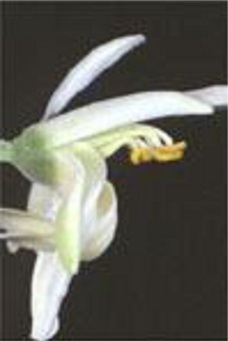 The origin of the use of this plant, which is now grown in about thirty countries, was in India where is was moreover known more for its food and therapeutic virtues. Several research institutes or organisations have taken interest more recently in its abilities to at least partially treat water and have perfected methods for use of which the effectiveness has been proven. Likewise, a German-Burundi team has created a Moringa-based treatment plant with a capacity of 2.5m3/d serving 100 people. The water passes through it via simple gravity through a sand-removal basin, a decanter then a slow sand filter of the facility, with the Moringa-base flocculation solution being added continuously to the raw water. The Moringa oleifera grows in all types of soil and resists dry spells rather well. Indeed, the oil is rich in Vitamin C and iron, the roots are rich in antibiotics. A single leaf contains 220 mg/100g of vitamin C, amino acids and proteins (6.7%). Finally, the bark secretes an antidiarrheal, diuretic and febrifuge resin. 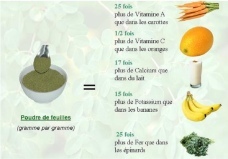 NUTRITIONAL INTAKE FROM THE ORGANS OF M. OLEIFERA. It is especially the populations of tropical and sub-Saharan regions who are concerned. In fact, the Moringa oleifera only grows in these regions. The process is inexpensive and is especially, but not exclusively, for family use or for a small community. - Once the pods have been collected, the seeds are removed, and are then husked (the wings and the hull around the kernel are removed) ; only the white or yellowish seeds that do not have any signs of softening, discolouration or excessive dryness are used. - The seed (the kernel) is crushed and strained, with 0.8 mm holes or the equivalent. The traditional mortar and pestle technique, used to manufacture corn flour has been considered as acceptable for crushing the seeds of the Moringa oleifera. - The fine powder obtained is mixed with clean water in order to form a paste. To treat 20 litres of water, produce a paste with 2 grams (2 tablespoons) of seed powder, which corresponds to about 20 crushed kernels (one per litre). If the water is not very cloudy, only one kernel per two litres can be used. Experience will show what the optimal dosage is. - Remove the insoluble material via filtration through a muslin cloth, a fine-mesh net or a piece of nylon or cotton fabric (with a pore diameter of 10µm). The filtered liquid, of milky appearance, is the stock solution. It must be shaken a little before it is used. In hot climates, this suspension cannot be stored and therefore has to be prepared every day. At 18-19°C, it can be kept for three days and if refrigerated, one week. - Stir the water quickly while vigorously pouring on the stock solution. Quick stirring must be maintained for 30-60 seconds to 2 minutes. - The slower and regular stirring (18-20rpm) is required for 5 to 15 minutes. To maintain regularity, a song with two-syllable words can be used, with a complete word corresponding to a full rotation. - When the solid material has settled to the bottom of the bucket, the clean water can then be recovered by checking turbidity with the unaided eye. - Finally, boil or add a substance that will kill the bacteria, such as chlorine or bleach (one or two drops per litre) in order to make the water entirely healthy and without danger for human consumption. Preparing the flocculent with Moringa oleifera is long and relatively complex for the scale of a family. This laborious method must be performed perfectly and can have a risk of bacterial contamination during the many steps that certain protocols call for, especially when storing the purified water in the household. The population must therefore be made perfectly aware of its adequate use. - it is generally well understood and accepted by the villagers who can at the same time make use of the many other food and pharmacological advantages of this plant that grows easily. - success depends on the level of training of the population, which is indispensable. - treating water requires a lot of time, which requires the involvement of many people. - The water can be contaminated by the utensils used to draw it or the storage containers. - Purification is only partial and the treatment must be supplemented for increased safety. - It allows for economies of scale and increased facility in terms of treatment. - it allows for genuine control of the quality of the water and an improvement in sanitary conditions. 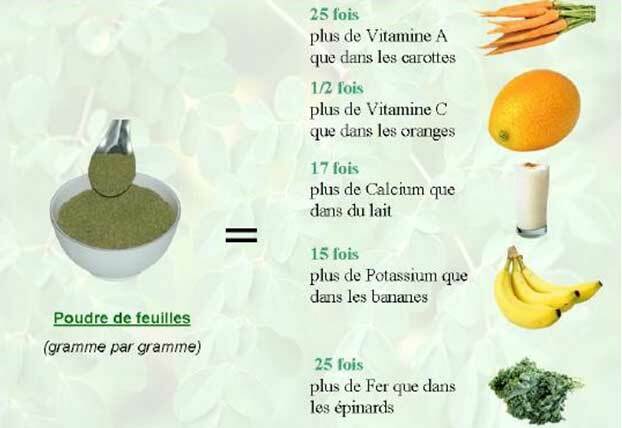 - it is however possible to temporarily and on an exceptional basis replace the Moringa with alum in case of a lack of product. - possible economic and technical difficulties (bacteriological monitoring) if the facility was set up by a foreign organisation with no concern for follow-up after its departure. In theory, this method can be used for industrial-type plants. However, in light of the large quantities of product needed for the treatment, Moringa is more generally used here temporarily or as a supplement, substituting for the usual flocculants such as aluminium sulphate. - The cost of Moringa seed is, or can be, in some countries competitive compared to industrial flocculants. However, there is no feedback or economic studies available on this point. - The effectiveness of the Moringa as a flocculent does not depend on the pH of the water, which avoids having to use acidity correctors. - Dosage errors do not induce any toxicity. - The supply depends on farming production, and the need to form a stock in order to handle fluctuations. Optimal storage conditions must be determined. Without counting investments such as a mill or a pump, the cost of producing one kilo of powder is estimated to be between €1 and €2. However, families that grow the Moringa can hope to have a profit of up to €1 per kilo. If the water is of good bacteriological quality, this treatment can be enough (for example well water that is not contaminated but which has an unpleasant colour or taste, such as water with a high iron content), otherwise it is necessary to supplement the treatment with chlorine disinfection. This technique can also be used with other coagulants such as alum in the event there is a lack of seeds. 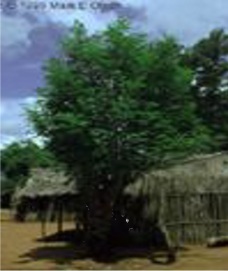 As with all coagulants, the effectiveness of the Moringa seeds can vary from one cloudy water to another. Tests must therefore be conducted in order to determine the effectiveness on a particular source of water and establish the optimal dosage according to the season. The practical application of dosage solutions is exactly the same as for all of the other coagulants, "jar-tests" must always be established in order to determine the specific dose required for the water to be treated. On the other hand, the quality of the water for the stock solution plays a role in the effectiveness of the treatment. Here are the examples of use that have already been mentioned. - PROPAGE : Interesting 10-page document, with a bibliography, specifying the various techniques for using Moringa Olifeira according to the size of the treatment unit. - Tropical Tree Network : publication of a dossier (see pages 11 to 14) "Treating water : is there a miracle solution with moringa olifeira ?" explaining the interest and also the limits of the method. - Another 10’ very complete video in English with Spanish subtitles, "Documental sobre Moringa"
Faby J.A. and Eleli A., 1993 - Utilisation de la graine de Moringa, essais de floculation au laboratoire and en vraie grandeur. CIEH/EIER/Oieau, Série hydraulique urbaine and assainissement, 1993, 132 pp. Folkard G., 1997 - The development of the Moringa oleifera and stenopetala tree to provide valuable products : coagulant for water/wastewater treatment and vegetable oil. Report to the European Commission, DG 12, research project no. TS3*CT94-0309, period 1995-1997.